Life goes on. Still living in a hostel and still battling with depression and my constant on-off relationship with alcohol. On the depression front, things are definitely improving. My doctor has reduced the dosage of my medication and that seems to have stopped me falling asleep during the day, so that’s a bonus. I still get my bad days, but thankfully they are becoming less frequent, so there is some hope on the horizon. With alcohol, it’s been a year now since I was really alcohol dependant. I do still have a drink, now and then, and I am learning to control it. It’s there though, lurking in the background, and it could easily get out of control again. I don’t really know why I drink at all. I think it’s because I refuse to admit that anything can control me, so I am determined to control it. That works, most of the time. In the meantime, I continue to write. It looks like Hub Pages will eventually give me an income, but that’s going to take a long time, so I am thinking of that as my future pension. Hub Pages are great for passive income, but you need a lot of articles, or hubs, to make it a living, at least 1,000 by my reckoning. I’ve done 35, at the moment, so there is a way to go yet! 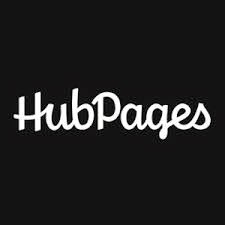 I’ve dabbled with a few other sites, but Hub pages still come out on top so, if you are looking to generate a second income and are not impatient then I recommend trying Hub Pages. It’s free, it’s easy and you can sign up here. I’m also writing for a number of other people’s blogs and websites, so I am slowly starting to build up a new career. I’m fortunate in that I have the time available to do this or making a living on-line might not have been an option. I love writing, so I hope that this pans out. It gives me some optimism for the future and it has played a huge role in my recovery. Just as important, Writing is something that I can do when I feel up to it so I don’t get the pressure that I would from a full time job. I still couldn’t handle that yet! So, another a day, another few dollars and I have at least five articles to write today. Some of the topics do drive me round the bend, but it keeps me in tobacco money and I haven’t gone without food since I started, so it’s worth it. If you’re interested, here are some of the articles that I have published on Hub Pages and they’re not all about alcoholism and depression! That’s another good thing about writing; it gives me something else to think about. Why did Stephen King write books as Richard Bachman?